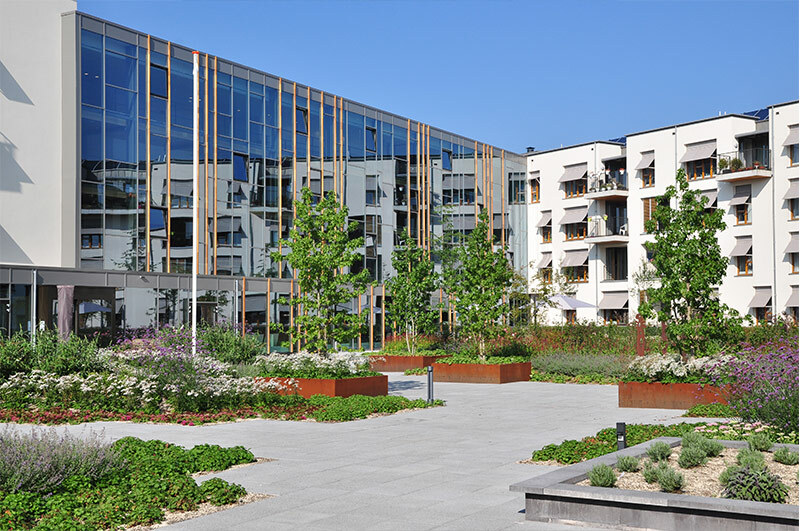 In the 1000-year-old Hanseatic city centre of Kampen a new living and care centre for elderly was build in 2016 with a 2000 m2 inner courtyard. 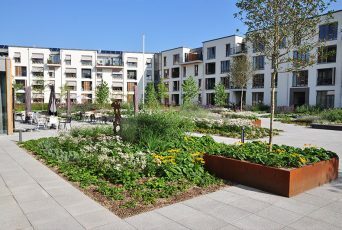 The gardens are an important part of quality of live for the residents, improving the view from all apartments and providing a place for them to sit outside, eat, garden and grown their own herbs and spices. The gardens are build on top of the underground parking garage. 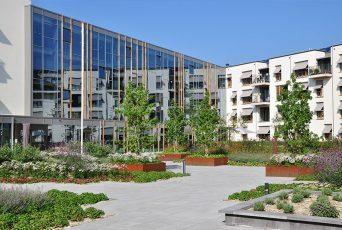 Even though the gardens are at ground level, they are constructed as a podium deck and roof garden, because plants and trees have no connection to ground water. 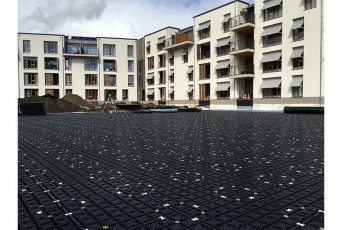 The Permavoid 85S drainage and capillary irrigation layer was placed under the entire gardens as rainwater storage and plant irrigation system. 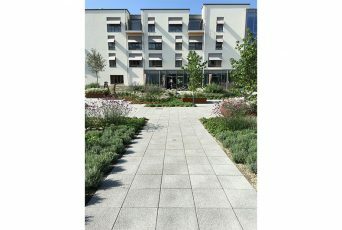 About 2/3 of the surface is planted with a soil depth varying between 20-40 cm with a specific capillary active and lightweight green roof substrate and 1/3 is paved with concrete block pavers. The rainwater storage limit in the Permavoid system was set at 50 mm, generating a total rainwater storage capacity of 100.000 litres, sufficient to capillary irrigate the gardens for 20-30 days without rain and without using drinking water for irrigation purposes. 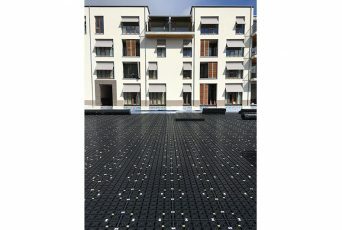 Permavoid is leading specialist manufacturer of surface water management products and extensively cooperating and collaborating with distributors, universities and clients worldwide.